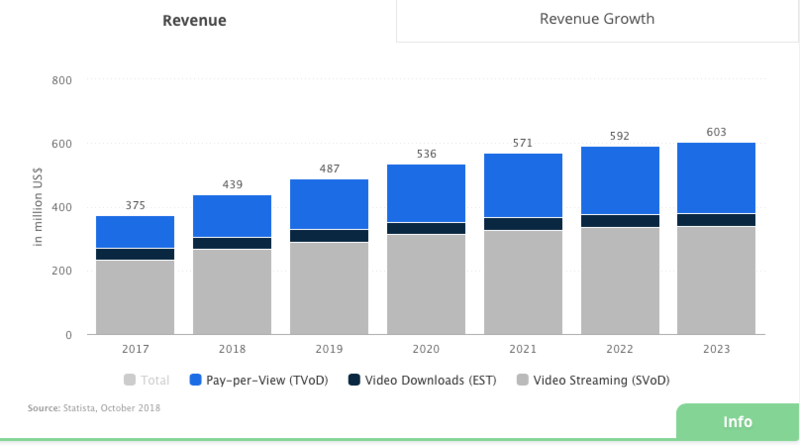 What this means is that SVOD platforms need to differentiate itself clearly via content in order to drive growth. To fight fierce competition from Netflix, YouTube to local competitors (Watcha Play, Kakao TV, CJE&M’s TVing, LG’s LGU+, Olleh TV etc. 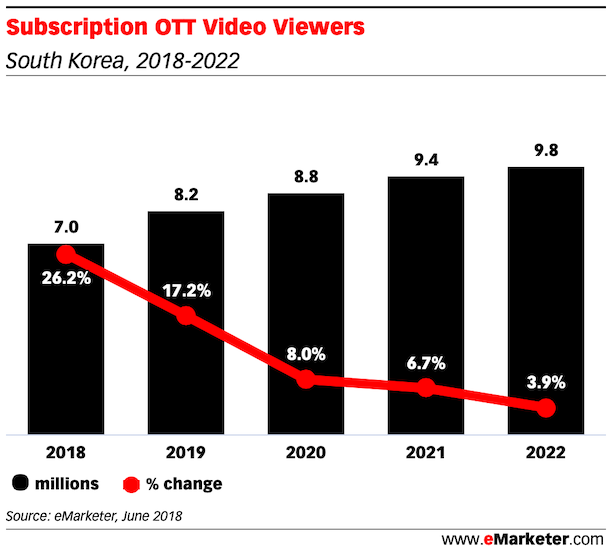 ), SK Telecom and 3 other broadcasters joined their respective platforms Oksusu and POOQ in 2019. 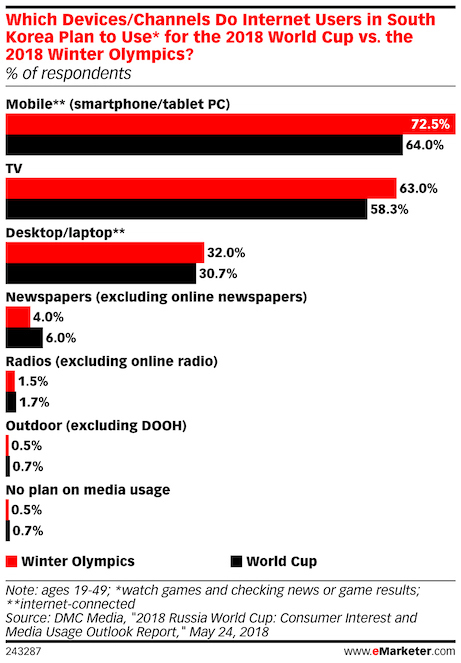 And according to Media Partners Asia, the combined paid subscriber base is going to be close to 1 million. 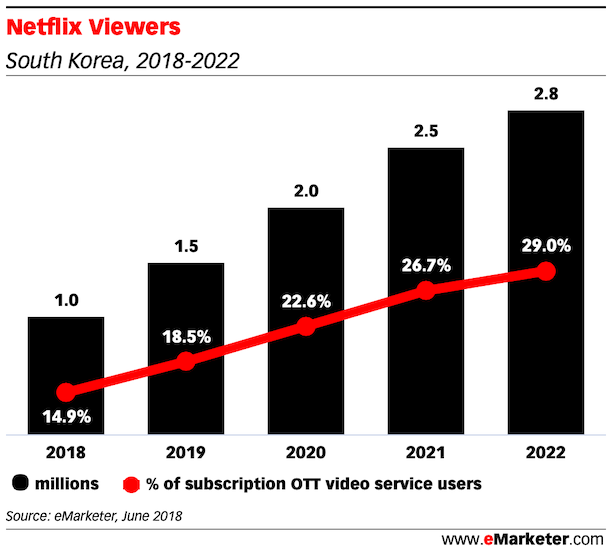 This is still lower than the estimated 1.9 million subscribers for Netflix in KR (by eMarketer). 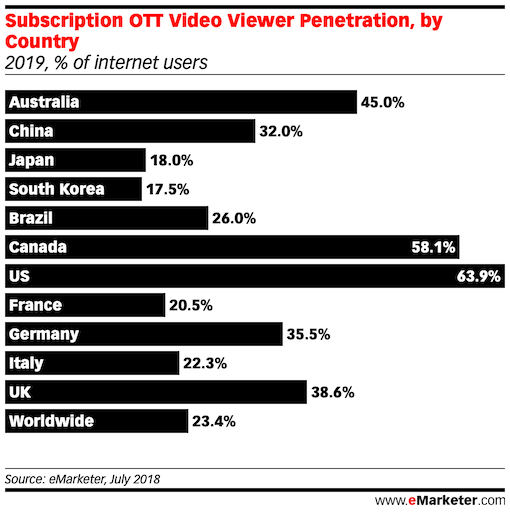 According to eMarketer report “Sports OTT Landscape in South Korea“, unlike other countries, eSport is also available on many TV channels in South Korea like OGN (formerly Ongamenet, owned by CJ E&M), a cable TV channel that specializes in esports or AfreecaTV. If you have any additional insights that you want to add, feel free to email me or drop it in the comment section below.